Register and choose a document. Checkout after completing the forms. An attorney reviews the forms and documents. LegalCleanup.com by Vonnie C. Dones III, ESQ. Offering Affordable Legal Services. Need a lawyer to handle your legal matter without delay? We got you covered! Vonnie C. Dones III, ESQ. at LegalCleanup.com is a law firm that offers “unbundled” legal services and full legal services via the Internet. We can help you obtain legal services online to avoid the hassle of traveling to an attorney’s physical office. You receive the legal benefits, personalized service, and confidentiality and data protection of a traditional law firm for a fraction of the time and cost. Our cutting-edge, 24/7 web-based legal services are affordable, task specific, and easy to use. If you choose our unbundled legal services, you retain the control of “doing it yourself” (DIY). An attorney will assist you in document preparation and review your legal issues for accuracy. Need help with a legal document? What type of legal services do you offer? Hiring a traditional law firm can be expensive. Handling a legal issue without any legal advice from an attorney can to lead to an undesirable outcome. Going DIY (Do-It-Yourself) using a legal forms company is even riskier. However, using an attorney to review your legal paperwork at the same price you would pay for a legal forms company, or even lower in some cases, saves you time, reduces stress, and gives you peace of mind knowing that you have attorney support. Don’t risk your documents being rejected by the court. Online legal services offered by Vonnie C. Dones III, ESQ. 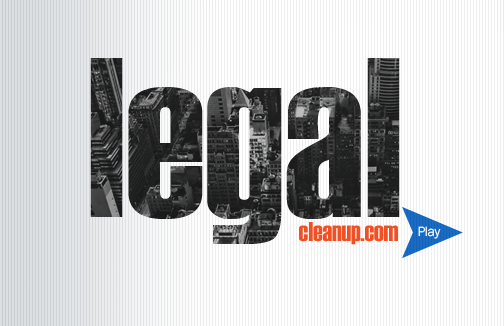 at LegalCleanup.com are personalized, affordable, and convenient for you!